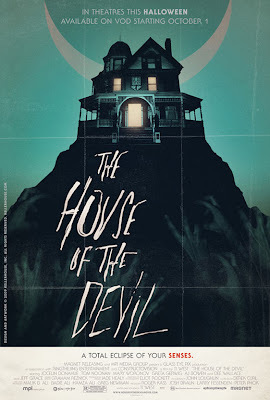 While writing my review for Ti West's "The House of the Devil" I ran across these 3 new posters for the 1980's throwback horror film. 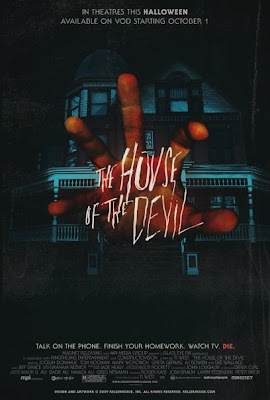 The film is definitely worth a watch, checkout my review (here) and these new posters are more of a good thing from the promotion of the film. The first poster that released for the film screamed older 80's horror and these 3 new posters are more of the same. I particularly love the first one with the hand coming from the house (wicked). The other 2 are good, however the window silohuette is the lesser of all the released posters. 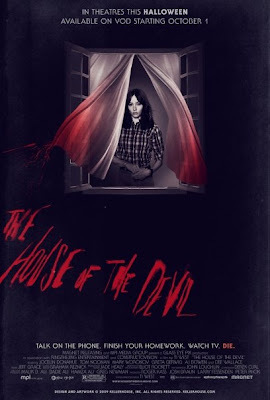 Enough blabber, scrolll down and checkout the new posters below and watch "The House of the Devil" on demand now or see it when it hits theaters on October 31st.